Gift Card Granny surveyed more than 3,000 members to determine the latest money saving and spending trends for 2018. Data surrounding financial topics such as spending habits, investing and monthly savings was analyzed. 68% of respondents stated they could do a better job of saving money. Only 27% expressed satisfaction with their saving efforts. 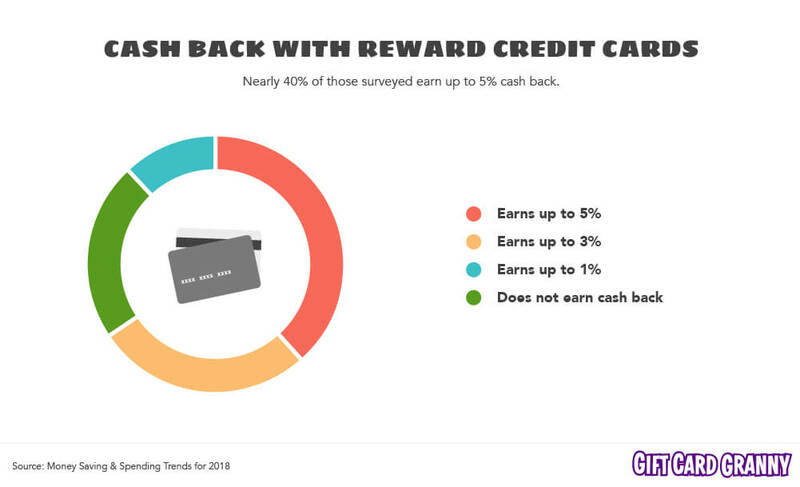 77% of respondents own a rewards credit card, with 40% earning up to 5% in cash back. 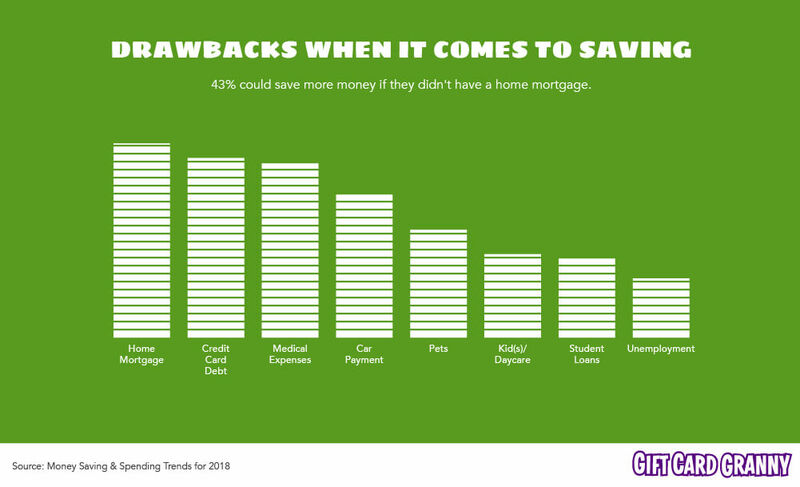 Despite enticing reward return rates, respondents claimed that their average cash back earnings is less than $1,000 a year. Nearly 11% of respondents under the age of 35 invest in emerging digital assets such as Bitcoin and other cryptocurrencies. Before making a purchase, 41% of shoppers look for a coupon or money saving offer. 69% of respondents claimed they rely on the store’s website and email list for coupons and promotions. Coupon websites are utilized by 62% of the respondents, while 58% apply online apps (including popular coupon browser extensions). 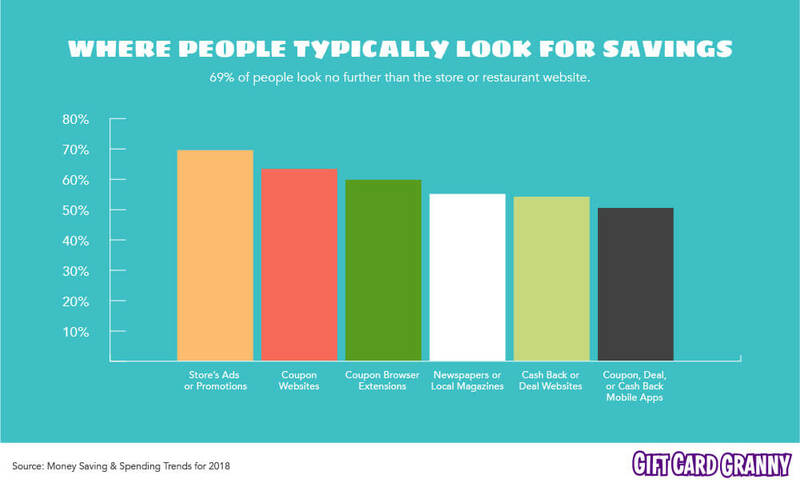 53% of shoppers canvas newspaper insert ads and local magazines for savings. Yet there is a decline in use based on a generational shift; only 38% of respondents under the age of 35 use newspaper circulations. However, 64% who are 55 years or older still utilize their local newspaper circulations. 77% of respondents own a rewards credit card, with 40% earning up to 5% in cash back. Despite enticing reward return rates, respondents claimed their average cash back earnings is less than $1,000 a year. 68% of respondents stated they could do a better job of saving money. Only 27% expressed satisfaction with their saving efforts. The top three overall expenses that reduced desired saving amounts included medical expenses, monthly mortgage payments and credit card debt. Car payments, credit card debt and student loans were the top three drawbacks for respondents under the age of 35. 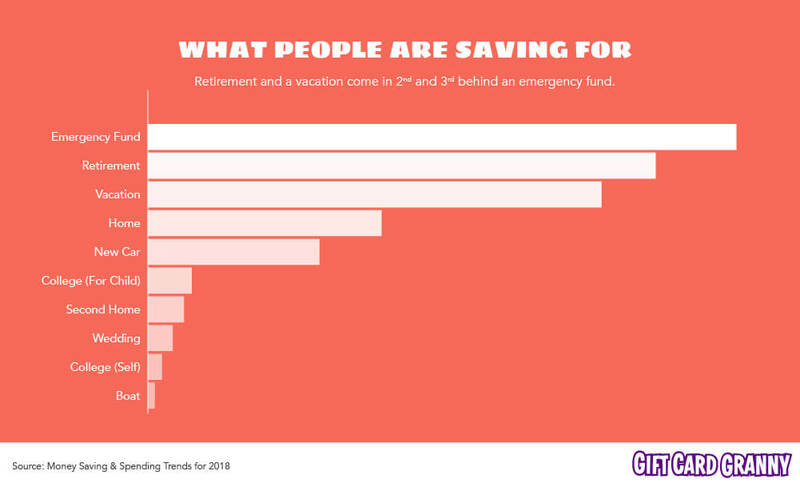 60% of respondents claimed they contribute to an emergency (rainy day) fund, while 46.5% are saving for retirement, 28% are accumulating funds for a home and 21% are putting away money for a new car. Nearly 33% of people surveyed disclosed they only put away 3% to 5% of their monthly paycheck, while 20% don’t save at all. 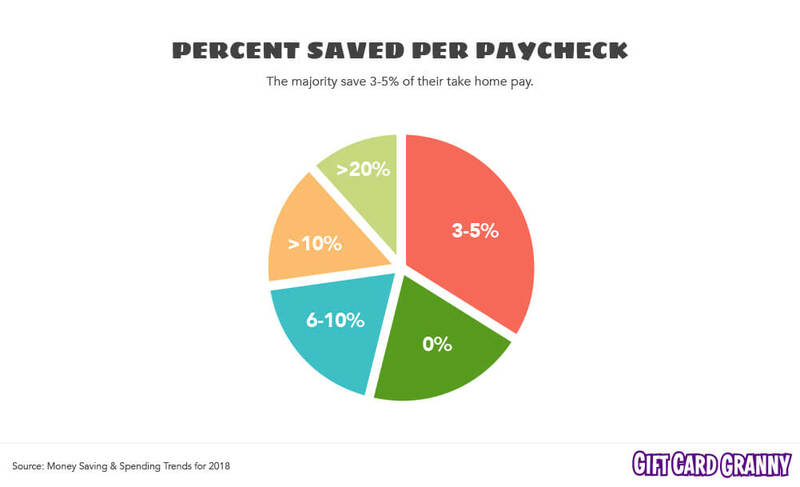 However, 13% of respondents save more than 20% of their monthly take home pay. A savings account (77%) and retirement fund, like a 401k or a Roth IRA (63%), were the most preferred type of investments. With popularity of Bitcoin and other cryptocurrencies is on the rise, 5% of respondents said they invest in these categories. Nearly 11% of respondents under the age of 35 invest in emerging digital assets. 70% of those who took the survey claimed they allot less than 50% of allowed contribution; 12% are able to contribute the maximum amount. 67% of people reported not using money saving apps; 28% say they have a mobile wallet while 38% of respondents under 35 claimed they utilize one. For press inquiries or more information about Gift Card Granny, visit the press and media page or email pr@giftcardgranny.com.